The 5th Annual Rock The Spectrum concert that will be held on August 6 at the Branson Landing is one of the most interesting shows in Branson that gives benefits to autism patients. This wonderful event is organized to raise funds for families and their children who deal with autism. Rock The Spectrum concert brings in local and national artists alike for a worthy cause. Every year the lineup and activities for visitors are different and proceeds from the event go to help children with autism. Brent and Cristal Hedrick founded this event in honor of their goddaughter Shaylee O’Day. The concert includes musical performances of Liverpool Legends, Mile Zero, Vino Alan & The Crystal People (X Factor Finalist), Kresleigh, and DJ Hadenwood. During the event, a child is diagnosed every fifteen minutes as being on the autism spectrum. It was announced in 2013 that there was about 72 percent increase in the diagnosis of autism over the past four years. This staggering rate is rapidly growing and many insurance providers won’t cover expenses of children on the spectrum. The Hedricks together with the parents of Shaylee, Chuck & Michelle O’Day want to let local families who deal with autism to become hopeful and give them a sigh of relief. It is also important to Hedricks and O’Days to spread the autism awareness that it is curable. This will be the 7th year for the two families that they have done an autism event for the Branson Area. Cristal and Michelle founded “A Day for Shay & Pals” in 2009. So, come to the Rock the Spectrum shows in Branson for an amazing performances while doing something amazing for your community. 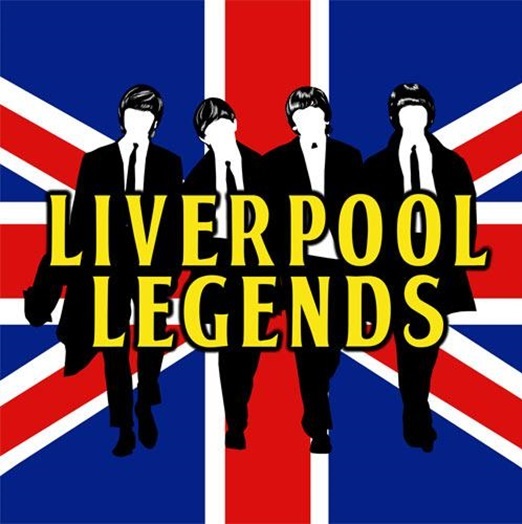 As you watch this benefit show for autism patients, you will get to enjoy also the great performances of the Liverpool Legends. They are the only Beatles tribute band to perform in Branson and they are returning this season to bring audiences the music that changed the world. These talented Beatles impersonators were handpicked by George Harrison’s own sister, Louise. The group have already toured for over ten years performing shows such as ‘International Beatles Week’ in Liverpool, England and on The Travel Channel’s Beatlemania in the UK. Livepool Legends has been performing regular shows in Branson since 2006. The band was voted as the ‘Best New Show,’ ‘Best Band,’ and ‘Best Show in Branson.’ They also received great response from viewers due to their great performances on recreating the songs of the world renown The Beatles. These four great performers look, act, and sound like the British pop group that invaded the world during the 60s and carved their unforgettable music. So, don't miss to watch the group sing your favorite hits and experience the most recognized Beatles tribute band in Branson. So, if you want to watch a benefit show in Branson that shares autism awareness, attend the 5th Annual Rock The Spectrum concert where local and national performers show their talents.